Whether or not you’re new to blogging, a writing refresher is never out of place. And this one was one that I hadn’t even thought of until the other day when my hubby simply asked “How do I write a blog post? Where do I even start?” You know what…that’s a good question! Here’s your quickie crash course on how to write killer blog posts. 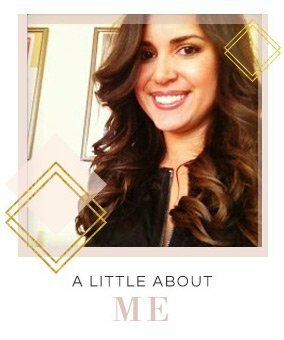 Don’t have a blog setup yet? Check out this step-by-step tutorial here. It boosts your SEO, bringing in more traffic, which leads to more clients! Practical tip: I tame the idea machine by keeping a running list of blog topic ideas in Evernote. Need more sources for ideas? Check out this post. Introduce your reader to your topic and give them a preview of what’s to be covered in your blog post. Just be careful of getting overly wordy in the intro and get straight to the meat of the article as fast as you can. For more on how to write great introductions, check out this post. Now that you have your topic in mind, let’s break it down into smaller supporting nuggets. Let’s go back to the scarf example: what are all the different ways you can tie a scarf? Well, this YouTuber has 25 ways! After you write your introduction, you’ll want to list each way you can tie a scarf. An easy way to do this is by making each way to tie the scarf it’s own subhead topic. 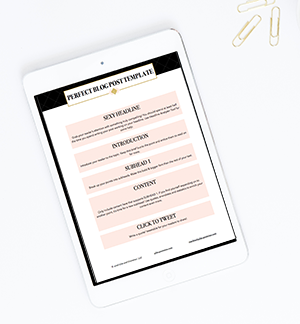 Now that you’ve got a small outline of your post, it should be pretty easy to fill in and expand on your ideas. If the French Knot is one of the scarf styles, you’d expand by telling readers what that looks like and how to recreate it. I hate to be the bearer of bad news but the fact is, some people just don’t read. I know, you’ve poured your heart and soul into your post and can’t believe someone would do that, but it’s true! That’s why it’s so essential that you break up your post into subheads for all the scanners out there, and include a short summary at the end of your post if you can. This way people who have raced ahead to the bottom can still benefit from your takeaways. Hooray! You’ve successfully finished writing an awesome blog post! So, now what do you want the reader to do? This is where you’ll include your call to action which can be as simple as asking a question for readers to comment and/or prompting them to join your mailing list or follow you on social media. In other words, where do you want your reader to go next once they’re done reading your fabulous blog post? Always lead them to more by using plugins like Link Within that will post related post contents and ask questions to create engagement with your community. Sometimes, people just need a little nudge to know what to do next. Writing is just the beginning, editing is where the magic happens. Be sure to not only spell check but also scan for readability and check your grammar. I recommend stepping away from your post for at least a day before going through the editing process. Cut the fluff and don’t be afraid to edit ruthlessly! Practical tip: I love Grammarly to check my posts for grammar mistakes. Include beautiful photos, including one vertical image for Pinterest! Phew! 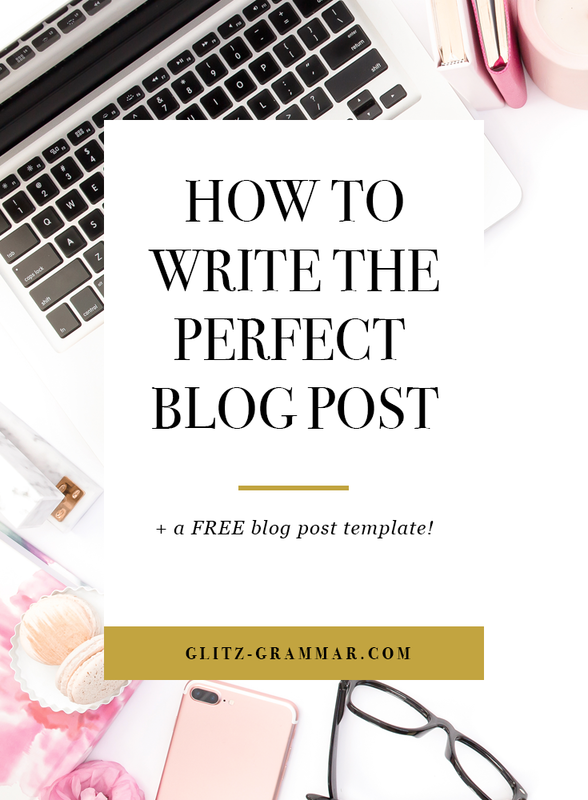 With this little recipe, you should be well on your way to writing perfect blog posts every time. Remember, an intro, a few subheads a summary and call to action is really all you need. 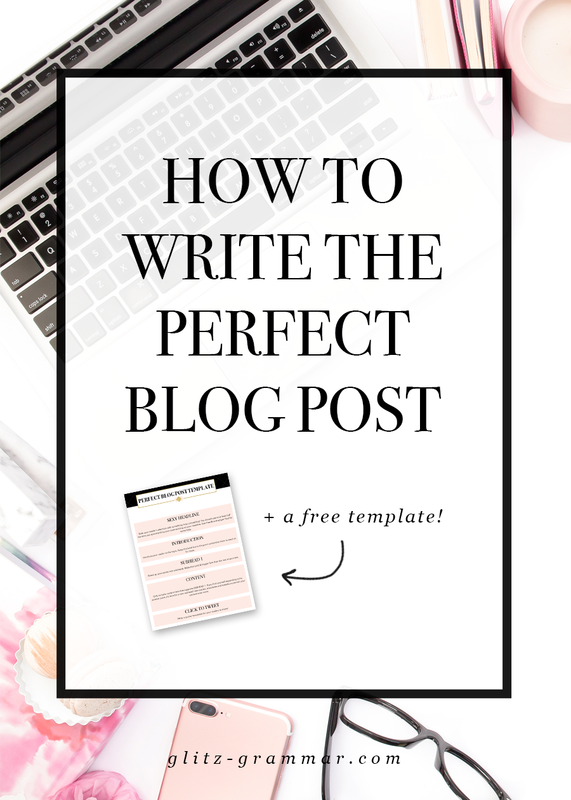 And if you want a refresher at any time, I’ve created a free blog post template for you to download below. I tried downloading the template but it just took my email address and nothing happened. The most beautiful system I have ever used, you have prepared a very nice article on this topic. I think introduction is the most important section. The user’s interest should be gained immediately. Otherwise, the user will close the tab in a short time. The bounce would increase dramatically and ranking of the post in Google results will be affected negatively. great post. I want to use this advise. A very nice article with so much of information! All the information mentioned here is very useful and helpful for blogger like me. It will certainly help me organize the content in systematic order and make it presentable. I’m currently working on putting my blog back out there. Writing blog posts that felt like me and still conveyed what I wanted to the readers was somehow getting lost in translation and so I stepped back for a time. I’m now back at it and this has been incredibly helpful in giving me a solid foundation that I can build from with flow, spice, and everything nice! Thank you so much! Nice article for newbie like me. Thank you. Great Patty! Thanks so much for your feedback! Thanks, Sam. So glad it was helpful!